The Rams are up to fourth following three straight wins and I expect them to make it four this afternoon. 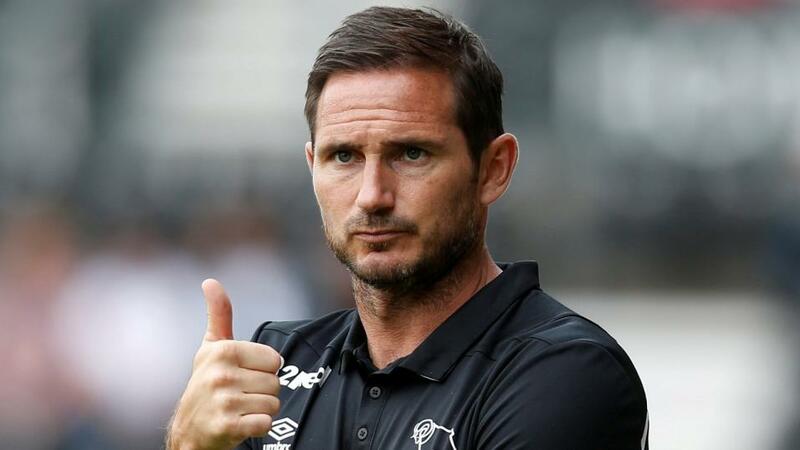 Frank Lampard's side travel to the New York Stadium having won two of their three on the road this season, and they've also recorded two away victories in the EFL Cup. Rotherham are new to the division having won promotion from League One last year, but after winning two of their opening three games in all competitions, their form has taken a turn for the worse. The Millers have now lost four of their last five outings, and while one of those was away at Everton in the cup, they were also beaten at home by Hull - a team who Derby have just recorded back to back victories against at the KCOM. Bolton have been in the news for all the wrong reasons this week, but things have been going well on the field, and they are a nice price to win at home today. Phil Parkinson's men are in ninth place thanks to three wins and two draws from their first six matches and they put their disappointing 3-0 home defeat to Sheffield United behind them by earning a creditable draw at Preston before the international break. The visitors to the University of Bolton Stadium this afternoon ate QPR, and they have managed to put a dismal start to the campaign behind them by going three unbeaten in all competitions - two wins and a draw. I am still not a fan of Steve McClaren's work though and it is worth noting that both of their victories were at Loftus Road - one of which was against a lower-league team. It's just one point from a possible nine on their travels for Rangers' this year - including a 7-1 drubbing at West Brom - and they were pretty poor away from Loftus Road last term. For more Championship tips, check out James Buttler's article. My final selection is a bit of a left-field one, but I'm all about value and I believe that Coventry are overpriced to win at the Ricoh. Their opponents are Barnsley, a team who are riding high in third place as they aim to earn promotion straight back to the Championship. The Tykes have taken 15 points from their opening seven games, and they are yet to taste defeat. Mark Robins' has done fantastically well at Coventry though and the Sky Blues are holding their own in this league since their promotion last year. The loss of top scorer, Mark McNulty, was a big blow, but they have only conceded seven goals in seven games, with only two of them coming at the Ricoh. They bounced back to form last weekend with a 2-1 win at Oxford, and while they were beaten by Arsenal U21's in the EFL Trophy in midweek, I'm not reading too much into that result.